The third and last US presidential debate happened last Wednesday in Las Vegas. Considering that the last two debates were controversial and created a lot of buzz on the Internet, this last debate was sure to stoke the fires of controversy. Hilary Clinton has been going strong ever since the second debate and the “October surprise” that managed to cripple Donald Trump’s campaign for the US presidential elections. Donald Trump, on the other hand, was down but not out as he faced an internal rebellion in the Republican Party and a nose dive in the polls. Trump needed a win, and this debate was his only hope for that. Unfortunately for the Republican candidate, this was not his night. After an initial attempt at being presidential and behaved, Trump crumpled and started behaving in a manner that undercut all of his campaigning. At the end of the night, several media outlets awarded Clinton the win, with CNN releasing poll results that showed that 52 percent of the audience decided that she had won to Trump’s 39 percent. The results of the debate also reflected on the polls for the election. Right now, most electoral polls point to Clinton having a seven-point lead over her opponent. 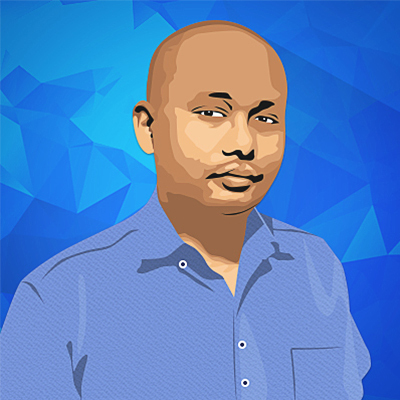 That is often considered an insurmountable point lead and many people are paying attention to that fact. 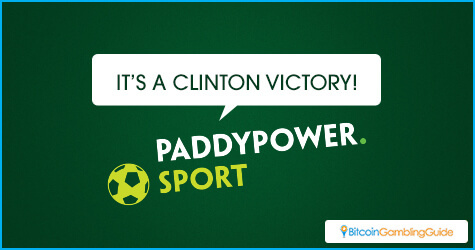 Paddy Power, an online bookmaker in the UK, has already decided to pay out nearly $1 million worth in bets to those who wagered on Hillary Clinton. The company seems to be assured that Clinton will win. News service Reuters projects that a Clinton win is at 95 percent, if the election were held this week. Other bookmakers are not paying out yet, though some are deciding to shorten Trump’s odds like William Hill. Bitcoin gamblers who still want to get a piece of the action can still place their bets. With a Clinton win being a big possibility, Bitcoin users may have to worry a bit. Recent e-mail leaks from the Clinton campaign have John Podesta, an important Clinton adviser, being dismissive of the popular cryptocurrency. 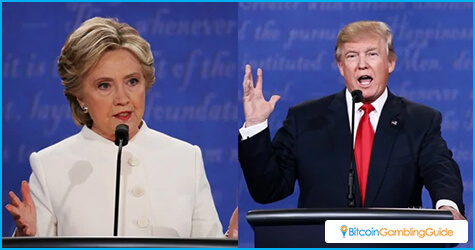 It is assumed that when Clinton wins, this may put Bitcoin in a difficult position. However, there is nothing to worry about. Though the leak is troubling, Bitcoin was not exactly targeted and was just mentioned in a throwaway line. Doubts about Bitcoin are nothing new. This should be expected considering its nonmainstream status. This makes it confusing to those who have not started using it. With Bitcoin’s increased visibility, though, people can expect more understanding. People should wait-and-see about how a Clinton administration would approach the topic of Bitcoin and cryptocurrency.